Mailchimp is a wonderful tool for communicating with your team. The best part....once set up, it's EASY! 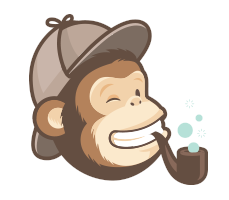 Below is the basics on downloading and uploading the reports from your backoffice to create a list in Mailchimp. You get to these by clicking Organization and they appear on the left side. After you change it, go to the top right of the form. Put your cursor over "Export" "Export CSV" "Export All CSV" and click. 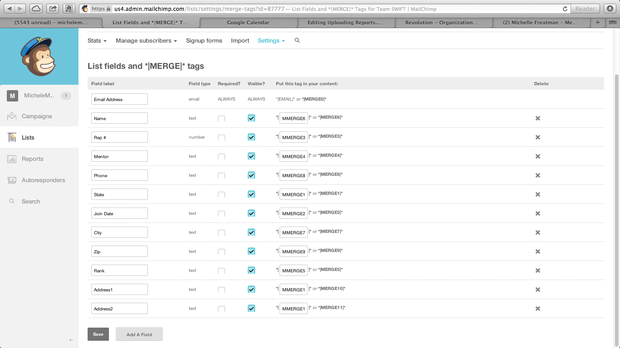 This file will be downloaded as a CSV file so it can be directly uploaded to Mailchimp. On the left side of the report you click Export. This will download onto your computer. Make sure you know where your downloads go so you can find it when you upload. This is downloaded as an EXCEL file so I always do a "save as" and change it to a CSV before uploading. 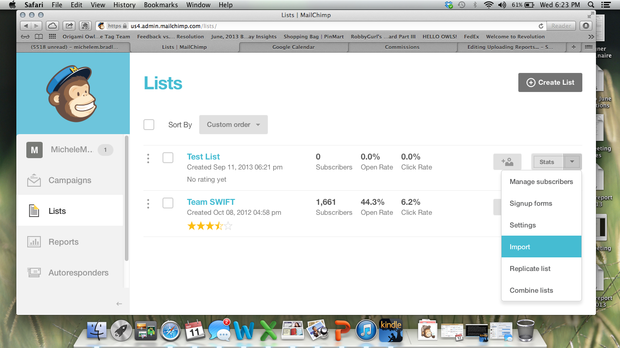 After making your account with Mailchimp you can go ahead and "Create A List". You do this by clicking Lists on the left side of your screen. Pulldown "Settings" and Choose "List Fields and Merge Files"
Click on Lists - Remember you are adding both spreadsheets to the SAME list. Click the list name of the list you want to upload to. MAKE SURE YOU ALWAYS CLICK "Auto-Update My Existing List"
Clicking this is when you assign the columns in your list to the List Fields that you made. I upload Team Email Report first....ALWAYS. When I auto-update, I match these fields. Remember to use the pull down and click okay. For the ones you don't want to match, you just click skip. Go back to the list after it's done uploading and do it all again. This time you are uploading the Team Report. Remember, when you initially download it, it's in Excel....you MUST do a save as to make it a CSV file. So follow the same steps as above. When I auto-update, I match these fields. Remember to use the pull down and click okay. For the ones you don't want to match, you just click skip.